Birthday card maker software creates Birthday cards. Now easily generate homemade birthday cards and gift your Parents, Friends, Husband, Wife, Kids cards designed by you to make the day memorable. Implement your own birthday card ideas and make a birthday card with use of image designing tools including Line, Ellipse, Pencil, Rectangle, Text, Picture, Arc, Triangle and Star objects. 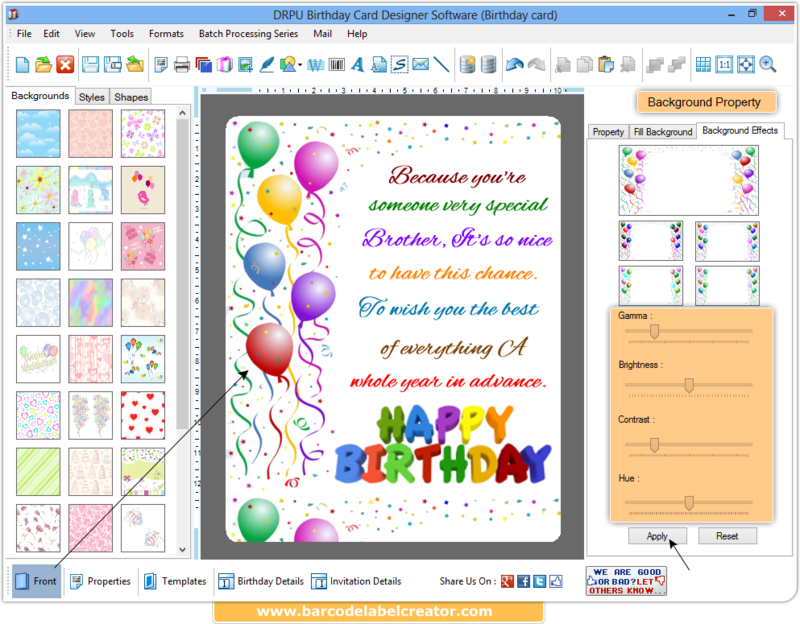 Now easily design and create birthday cards in various shapes including Rectangle, Rounded Rectangle or Ellipse label shape and get them printed with use of flexible print settings. Print created labels using advanced print settings. Option to specify color settings of designed cards using Solid Color, Gradient color, Image and Style settings. Design and create Birthday cards in Rectangle, Rounded Rectangle or Ellipse label shape. Save generated label on PC for future usage. Batch Processing Series feature allows to generate the multiple copies of Cards with different barcode and text value. 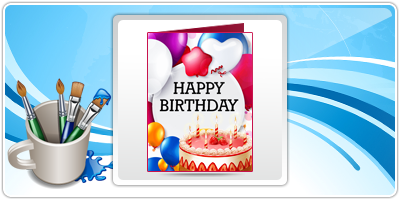 Provide option to send designed Birthday cards on specified email address using inbuilt email setting.